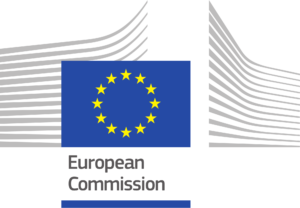 The European Commission acts as an executive of the European Union. The body is responsible for proposing legislation, implementing decisions, upholding the Union’s treaties and the general day-to-day running of the Union. The European Union holds a unique status on the international stage and among the donor community. It is the world’s largest donor, as it accounts for 60% of the world’s official development assistance. This assistance is provided to more than 160 countries, territories or organizations worldwide in order to fight poverty and promote economic development and democracy. The Millennium Development Goals are the key development outcomes that the EU, along with the countries concerned and other partners in the development community, wants to achieve between now and 2015. The ultimate objective of EU policy is to give people in less advanced countries control over their own development. This is why EU priorities are to attack the sources of their vulnerability: ensuring better food and clean water; improving access to education, healthcare, employment, land and social services; providing better infrastructure and a better environment. EU initiatives also aim at eradicating diseases and providing access to cheap medicines to combat scourges like HIV/AIDS. The EU also seeks to cut the debt burden on poor countries. The World Bank is one of the world’s largest sources of funding and knowledge to support governments of member countries in their efforts to invest in schools and health centers, provide water and electricity, fight disease and protect the environment. This support is provided through project or policy-based loans and grants as well as technical assistance such as advice and studies. The goal of the World Bank is to reduce poverty and to improve the living standards of the people in low and middle-income countries. The World Bank is present in 100 countries and has a staff of approximately 10,600 people from around the world. All support to a borrowing country is guided by a single strategy (called the Country Assistance Strategy) that the country itself designs with help from the World Bank and many other donors, aid groups, and civil society organizations. In the past decade the World Bank has supported 40 development projects in Vietnam. Since reengaging in Vietnam in 1993, the Bank has helped the government fight poverty by providing financing for agriculture, infrastructure, health programs, schools, and other essential needs. In may 2006, SJ Vietnam received one world bank grant (“innovation day”) to develop its projects in the national pediatric hospital of Hanoi. Coup de Pouce was set up in 1997 by the “Cercle des Femmes francophones de Hanoi”. Coup de Pouce deals with health and social actions, help to local families, education and help in rural environment. All the projects supported by Coup de Pouce were initiated by Vietnamese people or institutions. Coup de Pouce’s members are all volunteers.